I’ve been invited to the Palace this evening. Not the Palacio de Hierro (the famous department store), but the real deal… the Palacio Nacional … for a lecture on the Second Empire (Maximilian and Carlota’s “Phantom Crown”)… which makes it perfect to put up this rare photo by court photographer François Aubert… who stuck around after Max’s execution (15 May 1867) for at least a month, when he photographed the Zocalo, dolled up for the celebration of Benito Juarez’ formal return to the Capital. The “Statue of Victory” in the foreground was a temporary installation. Its provenance… and eventual fate… is something I don’t know anything about. 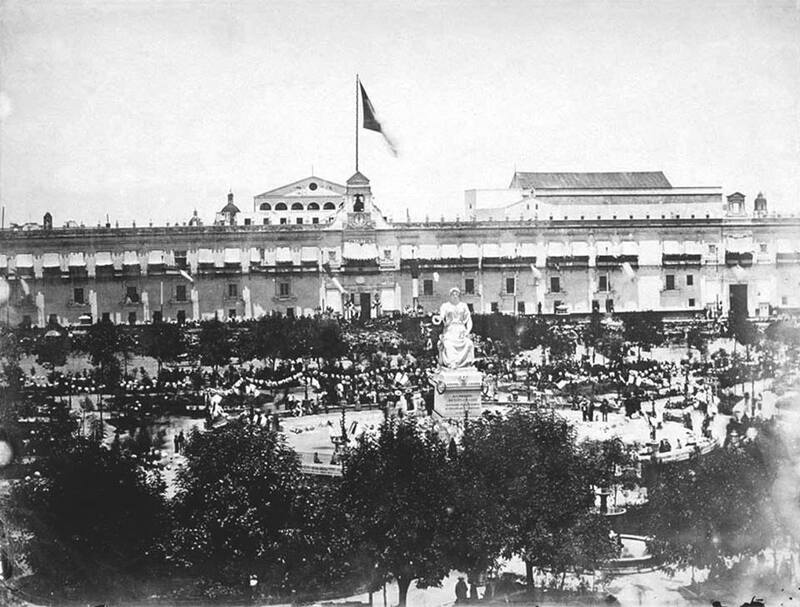 I do know the Zocalo looked a lot better back then… when it had trees.